The political stability of post-war Sri Lanka and of the present government, will depend to a very great extent on whether or not the 2015 Geneva resolution which the government so ill-advisedly co-sponsored, is sought to be fully implemented. If the government chooses to try to fully implement the Geneva resolution on the ground here in Sri Lanka, I believe that the political stability that we require for foreign investment, reconciliation and a stable peace will be seriously jeopardized. The crises will be exacerbated and we may enter a renewed cycle of political conflict. The government must find a way to re-negotiate the Geneva Resolution of 2015 or the voters of Sri Lanka will have to eventually have to come up with an administration that will roll back the resolution. This resolution cannot be implemented domestically, without very serious consequences. I have a dissenting view on what the resolution is all about; what the endgame is; what the target is; and who is trying to achieve what through this resolution. Sri Lanka has it seems, a certain cyclical pattern. You have the cyclical pattern in warfare, you have cyclical pattern in international cricket, which seem the two things that we spend most of our time doing. This pattern consists of four phases of a cycle: Phase 1 – you prepare, rectify your errors and you get to the point where you have a significant battlefield victory which can change the course of the entire contest – I can name two such in the case of the shooting war – Vadamarachchi in 1987, in which where Col. Gotabaya Rajapaksa also fought, as did several others in the audience – and the Riviresa Operation, where we liberated Jaffna. So you have two breakthroughs of a Phase 1 nature. In Phase 2 we failed to or were unable to consolidate and extend those breakthroughs– sometimes due to external factors, sometimes not. And then you get into the long phase of attrition, where you have once step forward, two steps back. Phase 3 is one of appeasement. If you read Maj. General Kamal Gunaratne’s book you will see that for any fighting man, the period of appeasement hurts more than the period in which you lose lives, because it is not just your pride, but you are conceding very vital real estate. Phase 4 is one of recovery, resistance and victory. I believe we are going through the same set of the four phase cycle, in our external relations. I regard our ability to secure near 2/3 majority in Geneva in May 2009 in the face of a US attempt to “lead from behind” as Phase 1. We know now from the WikiLeaks which has a long cable from Secretary of State, Hillary Clinton dated 4th May 2009 and also her email dump which is now public, which also gives details of a meeting also on 4th on May 2009. We know that the resolution was driven by the US and fronted by the EU. But our ability to defeat that pre-emptively, to me is the equivalent of ’87 and ’95 in the military sphere. We then went through a similar phase of unwillingness or inability to consolidate that victory. Then, we went through the period of attrition where we lost three consecutive Geneva resolutions. And now we have the period of appeasement and unilateral retreat. I am sure it will be followed someday by the generation of the national will to renegotiate or roll back this resolution. But this is the phase we are now in – that of appeasement i.e. the third phase. What was this resolution all about? There are several paradoxes here. The paradoxes show us a glimpse of the reality. For a government that is quite blatantly pro-Western, pro-US & UK, the pressure hasn’t been lifted. What does that tell us? Take Egypt – there are no resolutions brought about by the United States about the regime of Al Sisi in Egypt – I am not saying there should be – but there aren’t. Take Thailand after the coup – no resolutions. So, if the resolutions were merely a pressure tactic to bring us into line for geopolitical reasons, then logically now that there is a pro-western government in place in Colombo, the pressure should be lifting. The government or the US should have been able to make it go away. I take Chris Dharmakirti’s point that there was a possibility with the Paranagama report and especially Sir John Holmes annexure exonerating the armed forces of war crimes, and that it was not explored. But I am not really sure that is entirely the case. He quite rightly mentioned the visit by Nisha Biswal and Tom Malinowski, the US Assistant Secretary of State for Labor and Human Rights. Tom Malinowski made an interesting gesture for a visiting diplomat. He went to Mullivaikkal, knelt in the sand and laid a wreath. Now this is under the friendly Sri Lankan administration of 2015. Therefore, if it was merely a question of geopolitics and competition with China and getting us back into line, now it has a government (though it has gone back to China economically) that is strategically, ideologically, diplomatically and politically aligned with the West. So why get on your knees in Mullivaikkal? What’s going on there? That tells me that while geopolitics is an aspect, a dimension of this, it not the whole story and may not be the heart of the story. Why is the pressure still on? Is it that the West thinks the government is vacillating? Will this pressure help this pro-western government electorally or politically? I don’t think so. This is not making the government more popular. The Geneva resolution talks about a Special Prosecutor’s Office that is outside the Attorney General’s office, new laws and Special Courts. That cannot make this government popular. Then, why is the pressure still on? Why has the US not been able to make it all go away? Because there is something else at work here. Another agenda which has something to do with the gesture of kneeling at Mullivaikkal, the place where a democratic state and society militarily prevailed over separatist fascist terrorism after thirty years. Look at what’s in the resolution and you will find many of the same things in the efforts of the west concerning Sri Lanka from the 1990s. These are the very things (and some of you may remember them) that Lakshman Kadirgamar resisted. Cast your mind back to the days of the CFA and the Berghof Foundation, and its emphasis on “security sector reforms”. You have the same phrase, “security sector reforms”, in the resolution! There is a remarkable consistency in the agenda of the UK and US, irrespective of character of the government. So, what’s the target? What’s the real agenda? Geopolitics yes, perhaps, but in a different sense. There is a well-known French intellectual, Dominique Moisi, a strategic intellectual who participated in a conference we co-sponsored when I served as Ambassador in France. He has written a very interesting book called “The Geopolitics of Emotion”. Borrowing his phrase, let me extend its meaning. When the West looks at the world it is not just geopolitics in a strategic sense. There are certain communities, certain nations and certain parts of the world that they somehow view as unreliable, or hostile or inimical. Doesn’t matter whether they are communist or anti-communist. Russia today is not ruled by the Communist Party, which is an opposition party. But there is hostility to Russia. There is a disguised hostility to China. This is nothing to do with religion, I must say. Nobody must think this about Buddhism or a Christian conspiracy, and I know there are some Sinhala ultra-nationalists who think in those terms. I have to remind them that Christian Serbia which supported the Allies in the World War II, which helped western airmen, was bombed by NATO in 1999. So, it’s not religious or cultural – it’s just that some countries, some nations are not seen as reliable allies. The Serbs were among them. The (orthodox Christian) Russians, the Syrians, the Pakistanis, the Iranians, perhaps the Turks, and also the Sinhalese are among the suspect. That’s the story. Beyond a point it doesn’t really matter what the government is – there is a sense, that they, the Sinhalese, are “not reliable” even if the government is an ally of the West! There is an attempt to change the deep structure of the Sri Lankan state. That is the attempt to federalize, as well as the attempt to effect what is known as “security sector reforms”. One of the targets is the Sri Lankan Army. And it is not by mistake I say it is the Sri Lankan Army. Because there is a sense in the West that the other arms of the Sri Lankan military can be co-opted and may be useful. But the Army is seen as the most patriotic of the services. This may be unfair by the other services. But there is a sense that, maybe we can integrate others into our larger western design, but this Sri Lankan army has to be atomized; it has to be broken down. We are the enemy. Over time, there is a kind of a sedimentation of opinion in western society. There is a bi-partisan consensus– and this is mistake the previous Administration made because it thought it had to do only with liberal administration i.e. the Democrats or the Obama White House or the Labor party in Britain and if the Conservatives come in, things would be different. But it is a bi-partisan consensus, because it has to do with Western society itself. 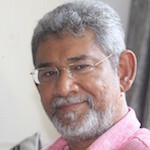 The Sinhalese have been depicted, the contrasting western views of the Sinhalese and the Tamils have been constructed, over time, in accordance with the ideological process that Edward Said famously called “Orientalism”. So, that is to do with “the geopolitics of emotion”. I am now stretching Dominique Moisi’s concept to a notion of the world order, of global norms that the West tries to set, in which the West alone decides when you stop a war! Yes, they did help us. But they did not want the endgame to take place and that we know from the WikiLeaks and other documents. They did not want the military elimination of the Tigers – not because they were pro-Tiger, but as you can see from May 4th 2009 Clinton cable and the May 4th 2009 State Department discussions in the emails, there was a sense that, yes, the Tigers were bad apples but that was because there were genuine Tamil grievances and we have to stop the war. Now that the Sri Lankan leaders and army didn’t listen and went ahead, we have to make an example and punish them for having gone ahead when we told them to stop. The last point I want to make is a moral one, an ethical one. My experience in France and my acquaintance from my library – which includes my parents’ library–tells me that behavior during the fight against the Nazi fascism, the issue of whether you resisted or not, which side you were on- was the defining factor in intellectual and social life in France for decades. When I was a student in the university, there was a book we read, called the Penguin Reader’s Guide to Fascism – it was by Professor Walter Laqueur. The same Professor wrote many books; he wrote a huge book called “Guerrilla”, so he knows about guerilla movements too. One of the books he wrote in 1999 was called the “New Terrorism”. And in that he writes about the Tigers, says that in terms of the sheer ruthlessness of the Tigers, the only parallels he can think of are the European fascist movements of the 1930s. Meaning of course, Hitler and Mussolini. Since this is a man who had written a huge book on other guerilla movements, and he could have compared the LTTE with X, Y or Z, but instead he identified them with fascism, of which he is an iconic scholarly authority. So, we fought not merely a separatist movement, not merely a terrorist movement. We fought against and prevailed over a fascist movement. And we are now being punished for having defeated Fascism– when that was a moral test our society passed! 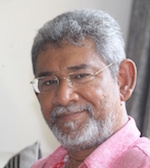 We are being asked to assume that we have committed war crimes, crimes against humanity, system-wide crimes, which therefore cannot be tried through the existing laws of Sri Lanka which prevailed when the war was on; which cannot be prosecuted through the Attorney General’s office, which cannot be prosecuted through the existing system of courts, so that we have to set up special courts. You know where the idea of Special Courts come from – it is Nuremberg! We, having defeated after 30 years, a fascist enemy – not just a separatist or terrorist enemy– we have to try ourselves, our armed forces which liberated us, defeated fascism and reunified the country! We have to fall on our sword! And there are those in Government who have agreed to this! This is why I feel that if we have any decency, let alone patriotism; any decency in us, as individuals and as a society; any gratitude, logic or rationality in us; we have to resist and oppose the attempt to implement this immoral Geneva Resolution. And that is the test by which future generations will judge us. *Excerpts from a speech delivered at “Geneva and You”, SLFI, Sept 29th 2016, the inaugural event of Sri Lanka Inc., a non-partisan civic network of young professionals.